Success After Stroke has two main biennial fundraising events. 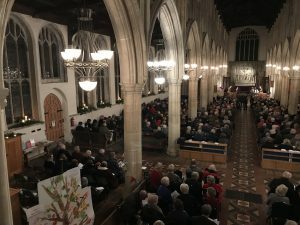 The Carol Service, held at the Holy Trinity Church, Long Melford and the BrushStroke art exhibition held at St. Peter’s Church, Market Hill, Sudbury. In addition, we hold smaller events from time to time, often inspired by the members, their families and our volunteers. Examples include; climbing Mount Kenya, a charity football match, fun runs and the proceeds from refreshments at an open garden event. The Hadleigh Choral Society will be in concert on Saturday 8th June, 2019 at 7 pm in Lavenham Village Hall. The concert will be followed by canapés and fizz. Tickets are now on sale, priced £15.00. Please send a cheque payable to Success After Stroke, together with your name and address to Success After Stroke, The Stevenson Centre, Stevenson Approach, Great Cornard, Sudbury, CO10 0WD. We would be extremely grateful if you could provide a stamped addressed envelope in which to send out your tickets. Thank you for supporting our charity and we look forward to seeing you at the concert. Tickets are non-refundable and will not be available on the door. 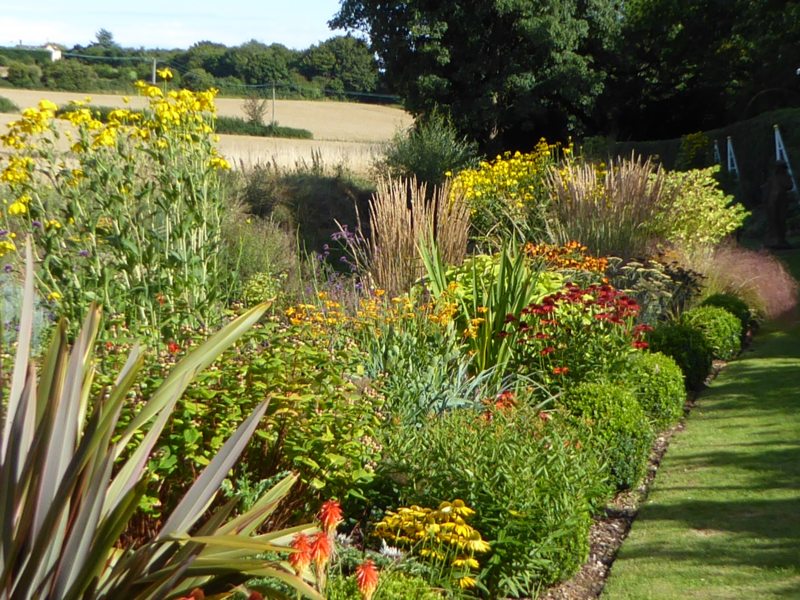 Member Geoff Heald and his wife Sue will be opening their delightful garden in Lavenham on Sunday 9th June, 2019. 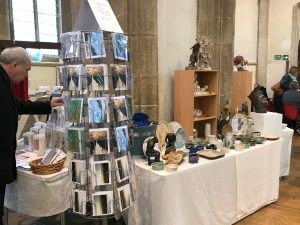 Profits from the sale of refreshments will be split between Success After Stroke and Lavenham Dementia Alliance. River Cottage, Lower Road, Lavenham, CO10 9QJ. Times of opening to be advised. 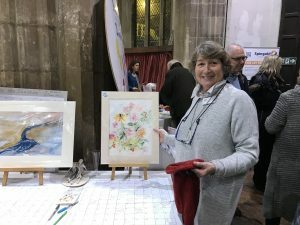 In December 2018, Success After Stroke held its popular biennial fundraising event, Carols by Candlelight. 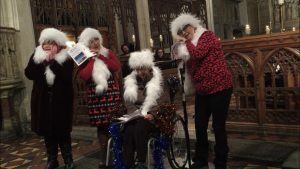 The evening was a great success, with the audience listening to the wonderful music from St. John’s Voices Choir of Cambridge University, readings from Terry Waite, members and volunteers together with a wonderful rendition of ‘Walking in a Winter Wonderland’ performed by Success After Stroke members. Success After Stroke would like to thank The Rev’d Matthew Lawson and Patrick and Jane Kohler of The Holy Trinity Church, the organising committee and all those who gave up their time, sponsored pages in the programme, bought tickets or who donated on the evening to make this a remarkably successful event. Thank you. 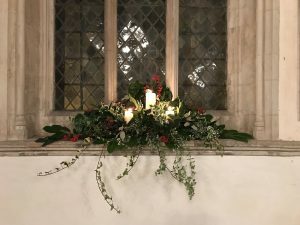 The next Carol Service will be held in December 2020. 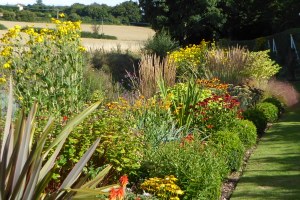 Success After Stroke member, Geoff Heald and his wife Sue will be opening their garden for the Lavenham Hidden Gardens on Saturday 9th and Sunday 10th June, 11am to 5pm. Those of you who came last year will know what a gem this garden is. Proceeds from refreshments sold in Sue and Geoff’s garden will be donated to SAS and the Lavenham Dementia Alliance. Twenty four gardens around Lavenham will be opening (not all both days) and programs are on sale in participating gardens, £5 for one day and £7 for both days. Gardens will be well signed in the village. Part of Sue and Geoff’s garden, which is in Lower Road, Lavenham, is wheelchair friendly. 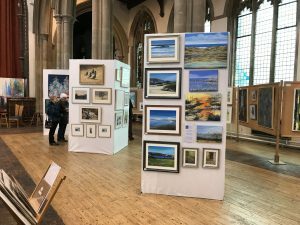 The fabulous BrushStroke Exhibition has now closed. 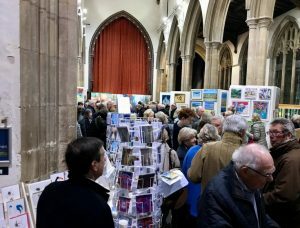 We do not yet have an idea of the amount raised, but sales were excellent and the exhibition looked fantastic. 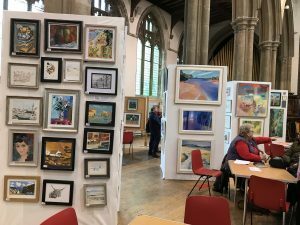 Our grateful thanks to everyone who contributed to the success of the exhibition, the proceeds will be put to very good use supporting stroke survivors to make the best of their lives. Tom Lindsay, Lavinia Phipson, Luke Boase, Laura Hedley and David Power gave up their Sunday to run in the Royal Parks Half Marathon on the 8th October, 2017 and raised in excess of £3,000 for Success After Stroke. We would like to thank the team and say how grateful we are for their efforts and to all those who have sponsored them. The Royal Parks Half Marathon course passed through four of the eight London Royal Parks; Hyde Park, The Green Park, St James’s Park and Kensington Gardens. If you would like to show your support to the team, please donate to Success After Stroke by clicking on the Virgin Moneygiving donation button or by cheque, payable to Success After Stroke and post to Success After Stroke, The Stevenson Centre, Stevenson Approach, Great Cornard, Sudbury, Suffolk, CO10 0WD. Thank you to the runners who gave up their time to raise money for Success After Stroke and to all those who sponsored them. Geoff, a member of Success After Stroke, and his wife Sue recently opened their garden in Lavenham for the National Open Garden Scheme. 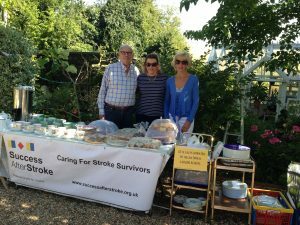 Proceeds from the sale of refreshments, in excess of £400.00, have been donated to Success After Stroke. The weather was kind and the garden beautiful, Geoff and Sue clearly put in a great deal of hard work. A huge thank you to both Geoff and Sue, together the band of volunteers who baked, sold refreshments, cleared tables and washed-up. Also, to everyone who came along and made the day so successful.